Update: We’ve extended the submission date till March 2019 (tentative) and encourage more bloggers to participate. It’ll be nice to hear your views. Every one of us would have an opinion about whats happening around us. Most obvious amongst them would be the challenges that our city, state or neighbourhood faces. Or even the world. Some of us may nurture fond hopes and deep desires for the future. Perhaps an opinion of how things ‘could be’ and a reason for the same. In a discussion with a set of friends and well-wishers the question that kept coming up was this : Can we make our opinion count? At least, can we find a way to aggregate our collective opinion and put it across to someone who must read them and take cognizance? We had a number of internal conversations and that lead us to #BlogToPM. It is an initiative where we propose to aggregate posts from the community and present it to the Prime Ministers Office. We start on Republic Day and end with Independence Day. A good seven month window for all of us to chip in with our thoughts and comments. Blog with your aspirations, ideas, challenges, problems. Anything at all that you would want to write to the Prime Minister about. We are sure you will keep the blogposts abuse free. 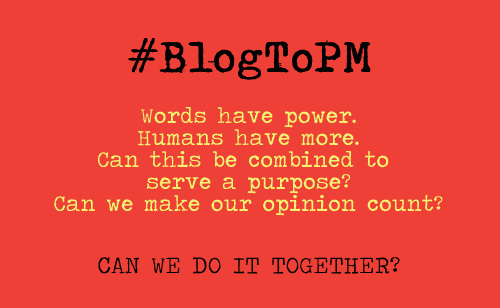 Use the hashtag #BlogToPM. In your blogposts, on social, anywhere where you want us to take notice. Notify us about the blogpost using this submission form. There are several things that are being planned between today and August 2018 , March 2019 for this campaign. We would love to read every post that you’ll write for this and we encourage you to write multiple posts during this period. You can cover various sectors and multiple issues within them. We will be sending the aggregation to the PMO and will keep you informed about the same. For all others too, ensure your posts are submitted using the form. 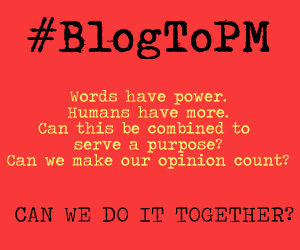 very good idea.we support #BlogToPM through blog. I have submitted more than 25 valuable posts to the #PMBLOG , for some post i received a reply but since so many days i am not getting any reply. If you’ve submitted using the form, our team will look up for validity. What reply are you waiting for? 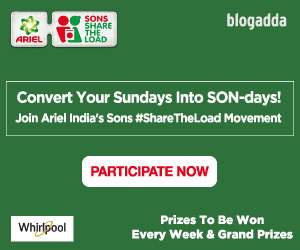 Very good initiative taken by Blogadda team. You will be sending the aggregation to the PMO, this is really amazing. Previous PostPrevious WOW: It Was His First Day In College. …And She Did It Again!